Auto Credit Express is great for people who have poor credit but want to look at plenty of options that do not let common restrictions stop them, allowing loan applications to be considered case-to-case. Since 1999, Auto Credit Express has been providing loan services to many people in North America. 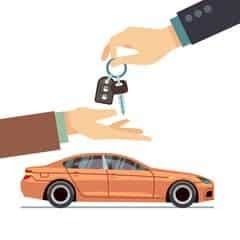 They are the most renowned auto finance firm that is offering unique and comprehensive services to a number of clients. With their network of over 1,200 lenders and dealers, Auto Credit Express is highly respected for their dedication and willingness to help every one of their members. Regardless of your credit history or financial background, Auto Credit Express makes it their duty to assist their clients. Individuals with repossessions, delinquencies, or no-credit are welcome to apply. You can receive financing for new or used vehicles. Auto Credit Express’ website offers resources and tools that can help you prepare for your loan and monthly payments. Before completing your application, you can check out their car loan calculator. This tool allows clients to evaluate how much money they can be approved for based on their income, outstanding balances, and credit history. Their payment calculator is also beneficial as it permits customers to estimate how much recurring payments will be once approved. This is a resourceful tool as it offers suggestions or estimates that can be used to prepare customers for the monthly expenditures. The actual application process is short and efficient. It takes only 3 minutes to complete and submit the form. Necessary information such as your name, home address, monthly payments, and other details are required for submission. The application requires only four steps and is much shorter than other request forms from other companies. Whether you decide to purchase a car outright or you decide to lease it, Auto Credit Express supports this as well. You are not subjected to merely buying a vehicle. You are provided with the option of receiving financial support for leasing which is often beneficial for some individuals. Most lending institutions do not offer this financing option to its clients. The selections provided usually consist of refinancing or financing the purchase of a used or new car. However, in order to qualify for leasing, individuals must have had great credit. If this is not a reflection of your credit score, then you must opt for a traditional financing solution. Also, the rates provided on behalf of lenders by Auto Credit Express, are also contingent on your credit rating. Overall though, the services offered by this institution are very inclusive. Despite your financial background, you can find a suitable loan.